Only the boldest, proudest and most serious wine lovers wear t-shirts, sweatshirts and apparel proclaiming an unabashed love of wine. 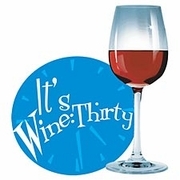 We have wine shirts and apparel that range from �elegant and classy� to �pretty good for a few chuckles.� Take our It's Wine-Thirty shirt, a play on the time 9:30pm which is about the right time for a nice glass of wine after a hard day of work. We sell Love Vino shirts and hoodies with a bright red heart emblazoned across your chest (pick any color you�d like for the heart and the text). 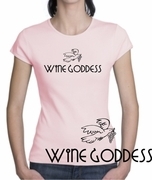 The Lady Connoisseurs love our wine goddess and Wine Diva shirts. 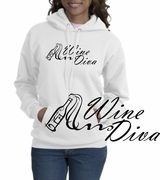 Drink up our wide variety of options for wine clothing, sweatshirts and more. 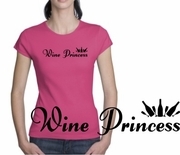 You'll always find the highest quality Personalized Wine T-shirts, Sweatshirts & More when you shop at TShirtHub.com.